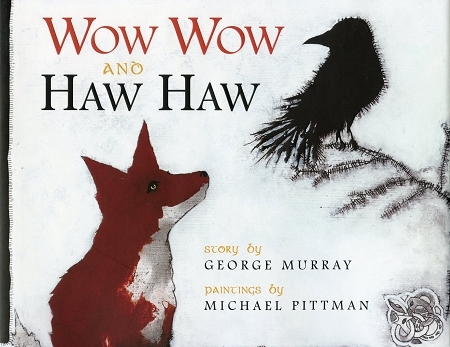 Acclaimed poet George Murray and award-winning painter Michael Pittman team up for their first-ever children s picture book. Wow Wow the fox pup has learned a lot about the hows and whys of being a fox. He knows how to hunt and hide, and he s very proud of his red and white and black fur. But he doesn t know much about fleas, until the day he wakes up feeling very, very itchy. Haw Haw the crow offers her friendship and guidance in this charming adaptation of the Celtic legend, How The Fox Lost His Fleas. Murray s playful rhyme and repetition, set against a backdrop of Pittman s lush paintings, will make Wow Wow and Haw Haw an instant classic and a favourite among small children and early readers alike.